Could you be applying your foundation incorrectly? The truth is yes and here’s why. Every woman wants to not only feel beautiful but look beautiful as well. Many of us may even spend countless hours trying to look our best. Although, beauty does come from within there are things we can do in order to look and feel our very best every single day. But what if I told you that 75% of women are using their favorite beauty product incorrectly. That’s correct you could be using your favorite beauty product wrong and not even know it. 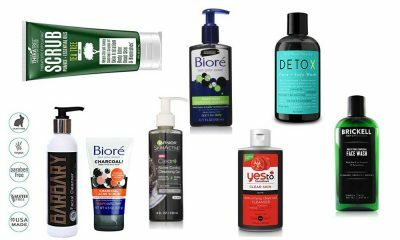 I have put together the 20 most popular beauty mistakes you can be making everyday and how to fix them. Did you know that using your concealer incorrectly can actually enhance the things you dislike about yourself instead of concealing them? 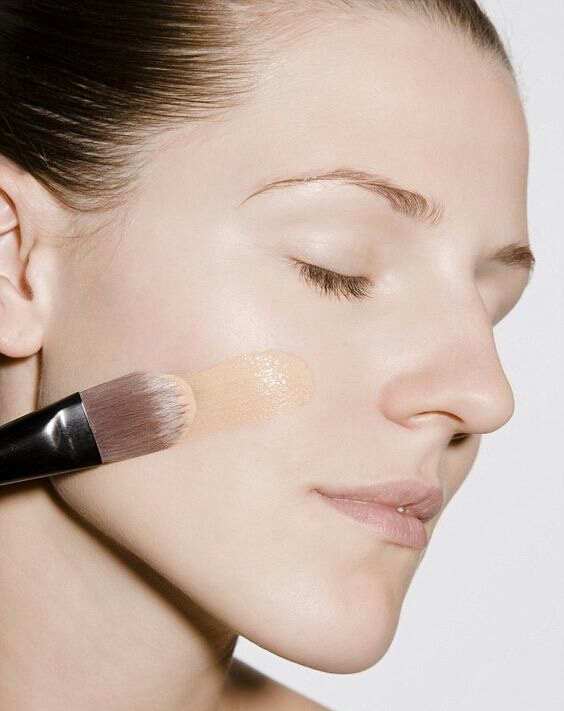 Using your concealer the wrong way and the wrong shade can do you more harm than good. The big question many beauty enthusiasts have is “do I apply my concealer underneath my make up or on top? ” The correct answer is both. When you are trying to hide and conceal something’s on your face such as a blemish or under eye circles you want to use your concealer twice. This will hide any under eye circles and blemishes with better coverage. Apply to your under eye area using your ring finger very gently and a very light coat. Apply to your blemishes a very thin coat as well. If you want more coverage wait for the first coat to set and then apply another coat. Waiting for the first coat to set will allow less creasing as well as better coverage. 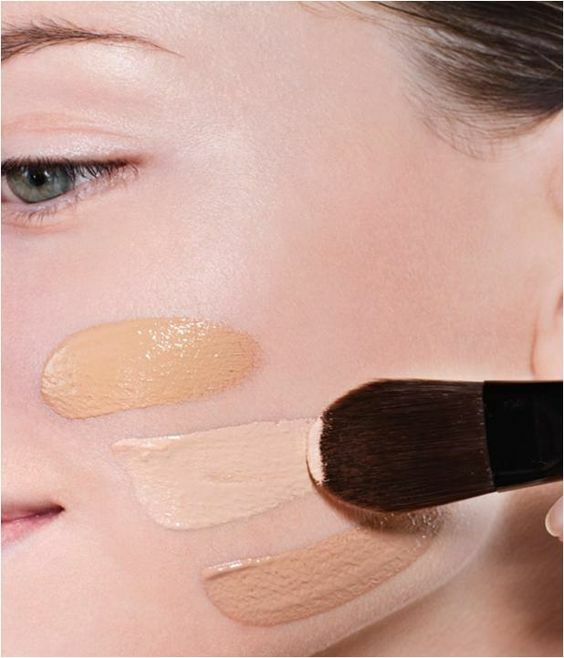 After you have applied your foundation apply a thin layer of your concealer under your eyes as well as any areas you want to help conceal for a more even coverage. 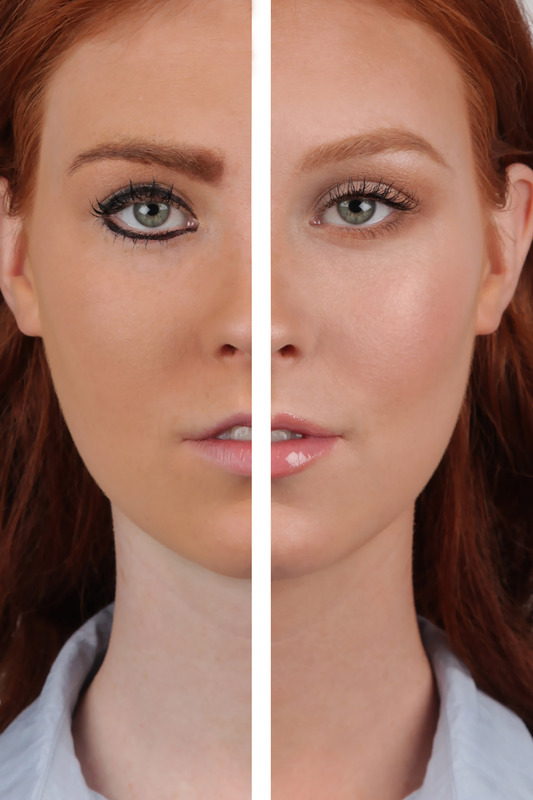 Your concealer should be 1 shade lighter than your skin with pink or yellow undertones. The pink undertones help brighten any areas you want brighter while a yellow undertone will conceal any redness on the skin. No matter what color eyeliner you use, if you do not blend it out properly you will have an intense eyeliner look. The reason why this is a beauty no is because the more intense the line is the smaller your eyes actually look. Instead of using a harsh line underneath your eyes, you want to blend a soft color in your waterline to achieve a smoldering look. To achieve this use an eyeliner pencil instead of a liquid liner and blend the line until it is nice and smooth of keeping it in a straight line. Another way to do this is by utilizing an eyeliner pencil and a taupe color eyeshadow to achieve the same look in a softer manner. The eye shadow enables you to build color gradually without having any harsh lines left behind. Ladies did we ever think there would be a time where it is wrong to be too tan? Well the time has come. It is now time to put down the bronzers. And when we say bronzers we mean body and face bronzers. Over bronzing your skin can actually make you look older. The small specs of gold in your favourite bronzer when over used can actually enhance your fine lines and wrinkles. You never want to enhance your fine lines and wrinkles instead you want to enhance the parts of your face that you love. The proper way to use a bronzer is to bronze the perimeter of your face. By bronzing the perimeter your face you are warming up your skin without over doing it. Also when you purchase a bronzer go for a matte bronzer that contains little to no glitter or shine. For bronzing up your skin take a large foundation brush swirl it into your bronzer and brush it lightly on your skin for a light bronze appearance. Brows help frame your face. The thicker the brow the more youthful your face looks. Thin brows are no longer in and they won’t be for a very long time. Perfecting your brows can now become a mission for many of us. Let’s face not all of us were born with perfectly, thick, beautiful brows but we can fake it till we make it. If you have thin brows or sparse brows you want to fill them in. Filling in your brows can be a tedious process for many of us. As we tend to usually end up with overdrawn brows. The key to not ending up with overdrawn brows is using the right products. Finding the right product for your brows is easier than you would expect. The key to finding the right product is knowing how you want your brows to appear. Do you want a bold brow? Or do you want a soft brow that appears natural. If you want a subtle brow you want to use a brow pomade or brow powder if you want a bold brow you can use a brow pencil. You want to use a brow product that is 1 shade lighter than your natural brow hairs. This will give you dimension and make your brows look more natural. You also want to outline the shape that you want your brow to be with an angled brush. 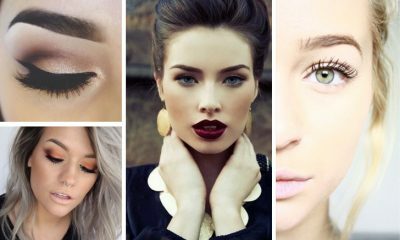 The shape of your brows should be your natural brow shape just a little bit more groomed. With the angled brush you want to create the illusion of tiny hairs that look natural and tamed. To keep your brow hairs in shape you can also use a brow gel. A brow gel will keep all your brow hairs exactly where they are suppose to be. Before you begin filling in your brows you want to make sure you groom them. Groomed brows look better when they are filled in. For this reason you want to make sure you remove any sparse hairs and your brows are as clean as possible. Every woman wants long, thick lashes which is why we curl, pull, crimp and use tons of mascara to achieve the full lash look. The longer and fuller your lashes look more awake and alert you will appear. This is the reason why many of us cannot live without mascara. However, falsies and lash extensions have taken over and we are become obsessed with having too many lashes. Yes ladies there is such a thing as too many lashes. When your eyelashes look like they are crawling out of your eyes instead of making your peeps look wide awake it is time to take off the falsies and use a coat or two of mascara. If you think you are doing something wrong when it comes to your make up, chances are you probably are.One of the biggest beauty blunders is harsh lines. Hash lines not only look wrong and like you do not really know you are doing but they also will age you. When it comes to your lipstick you could be doing something very wrong and that is not blending your lip liner. Lip liner was created as a preventative matter to stop lipstick from running outside of the lines. 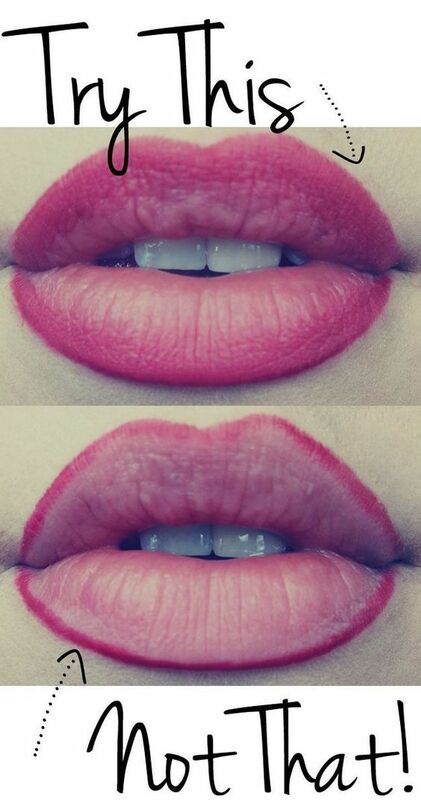 The lip liner on the outside of your lips will act as a barrier for your lipstick. However, how many times have you seen a woman have lip liner underneath her lipstick and once her lipstick fades all you see is a harsh line around her lips and thought “that doesn’t look so good” The key to not having the harsh lines around your lips is blending your lip liner down and giving the harsh lines a softness to them. This will allow your lipstick to fade gradually instead of all at once. Dry shampoo has become a lifesaver to every busy woman out there. You simply spray this magical stuff in your hair and you will be in a position to go a day or two without the need to wash your hair. The problem with this wonderful magical product is most of us have used it incorrectly. That’s right you are using your dry spray wrong and here’s how. Not waiting for it to set. How many times have you sprayed the dry shampoo combed your hair right away and was a bit disappointed it didn’t absorb all the oil you think it should. Well, the problem was you didn’t wait long enough for it to absorb. You always want to wait 10-15 minutes for it to absorb into your scalp before you comb your hair. Not spraying it close enough to the root. 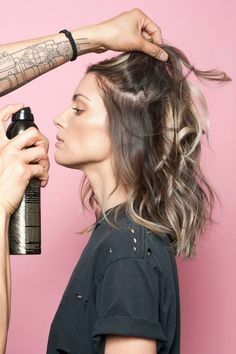 You want to spray your dry shampoo as close to your scalp as you can. This will make the oil absorbance even greater. The reason being the closer you get it to the hair follicle the better the dry shampoo will function. Not spraying it all over your hair. When you first hear dry shampoo you might think “I’ll only spray it on the roots of my hair and that will get the job done”. This is incorrect you should spray your dry shampoo all over your hair and allow it to absorb. We have all been guilty of over washing our face and considering it okay because we are removing the dirt and grime that is stuck in our pores correct? Well that is not quite true. Although, our pores do become trapped with dirt, makeup, grime and oils it is not true that by washing our face more than once a day we are helping the cleansing process. Our face and body produce natural oils that help hydrate and actually keep our skin smooth as well as youthful. Washing your face before bed is a must as you want to eliminate all the dirt and makeup you have accumulated throughout the day. However, there is no real need for you to wash your face in the morning with a harsh face wash. Washing your face with warm water is more than enough and will help preserve the natural oils on your face. 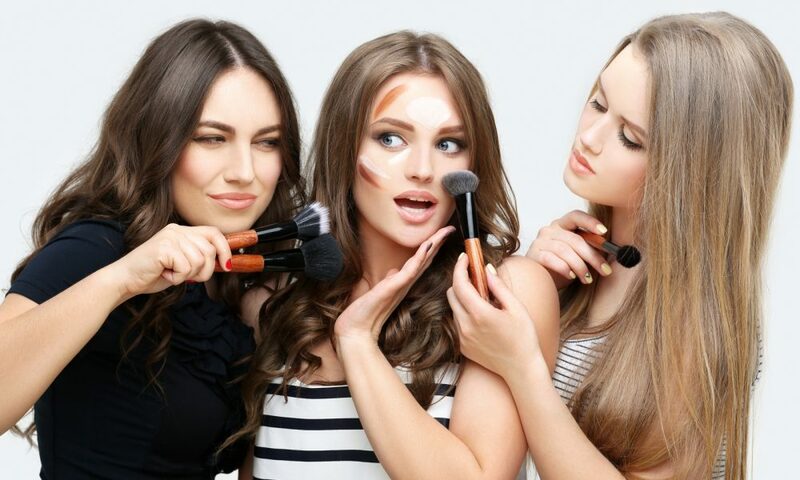 Face powders are great if you have oily skin as they help keep you matte and shine free for a longer period of time. However, they are not always great on maturing skin or dry skin. The reason being they clingy to fine lines and wrinkles as well as hair follicles. By powder sticking to your hair follicles it can actually clog your pores and make your fine lines appear more prominent. 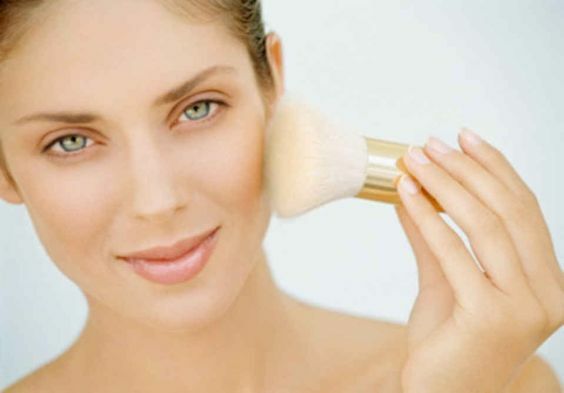 The way to properly wear face powder is by lightly dusting it over your cream or liquid foundation. A light dusting will keep your skin matte without making your fine lines appear more noticeable or clogging your pores. Foundation was set up to give us an even skin tone. It was intended to cover up all of our imperfections to give us the perfect flawless skin that we have always wanted. However, lately we have been experiencing the trend of too much foundation. When you wear too much foundation you are actually causing more harm to your skin than good. The reason being too much foundation clogs your pores as it seeps down into them. It stays in your pores until you cleanse your face. Too much foundation can also make you look older as it lays on your skin as a mask. You always want to wear a light coat of foundation and blend it down to your chin to get the perfect blend. We have each been taught the best way to find the perfect match for your foundation is to match it to the color on your hands or wrist. However, this is incorrect because you wear foundation on your face not your hands. So to find your proper shade of foundation you want to match your foundation to your jawline. By matching your foundation to your jawline you will be able have a better match to your actual color. Many times we end up with a foundation that does not match your skin tone properly by matching it to your jawline you will be able to find a shade or two that will work well with your skin tone. Too many of us blush is a scary beauty product has you can sometimes wear too little or too much especially too much. It had been shown that many women are actually fearful of using blush. The key to wearing the right amount of blush is using the correct formula. Do you want a natural flush look? Or do you want a hint of color? Or do you want your cheeks to be the main focus of your makeup? Once you have decided what you want it is simple to find the right blush formula. Stain blush- If you want a hint of color that looks natural this is the product for you. It will brighten up your skin and give you the perfect stain on your cheeks. Powder blush- Powder blush tends to be a little bit heavier on the skin as it is a little thicker and you need to be careful of not applying too much. However, if you want to give your cheeks the appearance of blush this is the one for you. Cream blush- cream blush is very much like a stain blush however, it is a little bit more creamer on the skin and works best for dry skin. If you have oily skin this kind of blush will not work for you. 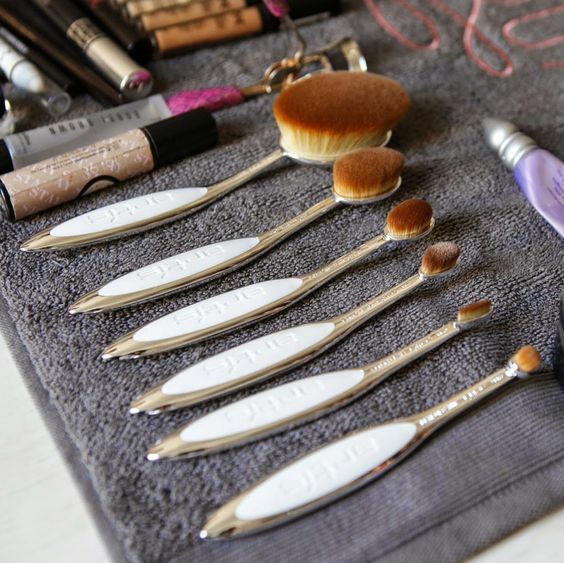 You have all been there staring at our makeup brushes wondering when was the last time they were washed. Well, the truth is you should be cleaning your makeup brushes at least 3 times a week if you use makeup daily. The problem, with not cleaning your makeup brushes as much as you should is you end up with dirt and oil trapped in them. When the dirt and oil is trapped in them you actually continue to transfer it to your face every time you use the brush. Which is why break out may happen more often when you use a dirty brush. To prevent your face from breaking out you want to make sure you cleanse your brushes at least 3 times a week with a gentle detergent. You can utilize any gentle detergent you like. Just remember not to wet the brush handles or the glue that holds the bristles together will soften and you will lose brush hairs. 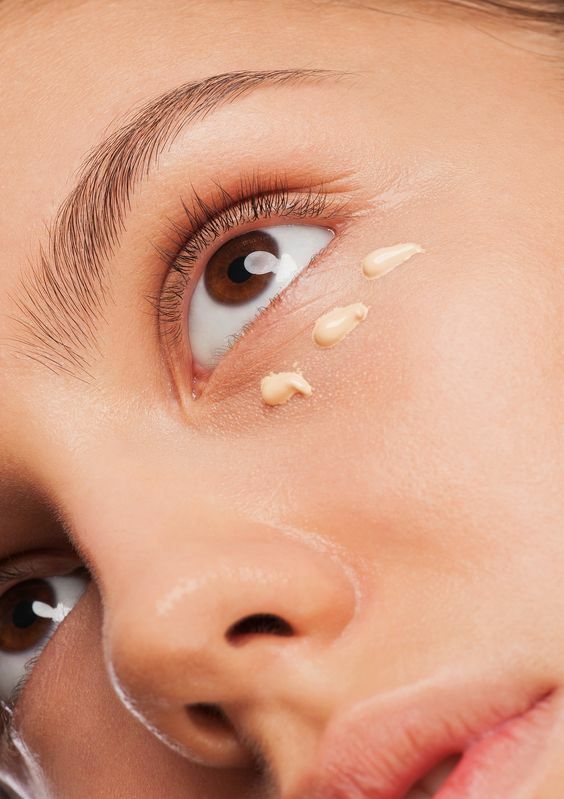 Ever wonder why your concealer tends to crease on you after an hour or so? The answer is simple wet makeup products need to be set. This is the reason why you set your foundation with a translucent powder because you want it to last all day. The same goes with your concealer as soon as you apply it to your under eye area you want to get a translucent powder and set it immediately. This will prevent it from creasing and getting into any fine lines and wrinkles that you may have already. Not only will it not crease once you set it but your under eye area will look more awake and luminous. 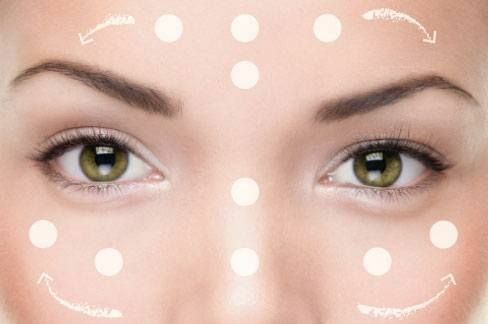 Any area you apply your concealer be sure to set it even if you apply it on a zit. We have all done this one before. The moment you are looking for your favorite nail polish and you open it only to discover that is now thick and goopy. So you add a few drops of nail polish remover to thin it out. However, this doesn’t only dilute the polish but now your polish tends to chip quicker. The reason, being the nail polish remover actually breaks down the polish which means once you do this the polish is no longer good. 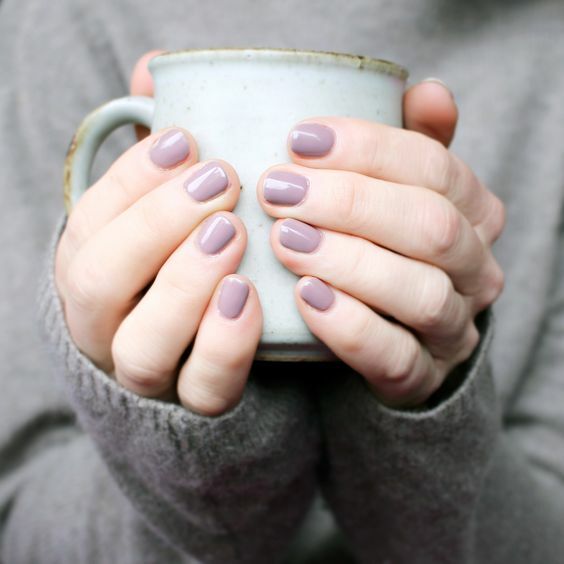 This is the main reason why many manis and pedis do not last as long because the nail tech will add nail polish remover to the polish. Remember nail polish remover is intended to remove polish not thin it out. Use a polish thinner instead. 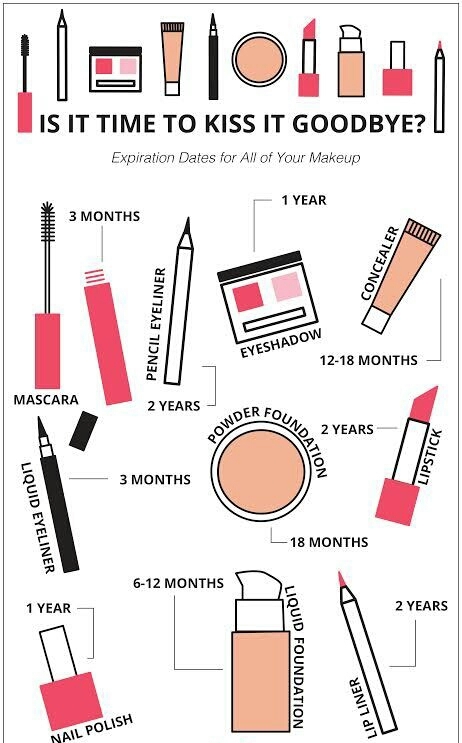 Believe it or not makeup has an expiration date. To many of us this is a new thing and we will keep our make up for many months to comes. Especially eyeshadows and lipsticks. The truth is most makeup expires in less than 24 months. That’s right your makeup may very well be expired right at this moment. If you are affected by allergies it is important to swoop your makeup often as the dirt can get into your eyes and cause you a bad reaction. The makeup that you use around your eyes and lips should be replaced every 3-5 months especially if we are talking about mascara. Mascara tends to build up a lot of bacteria in the tube so for this reason you want to exchange it as frequently as you can. This also goes for liquid products as well. Remember germs and bacteria love wet humid places. Primers were designed to help help give you the flawless makeup application that we all want. 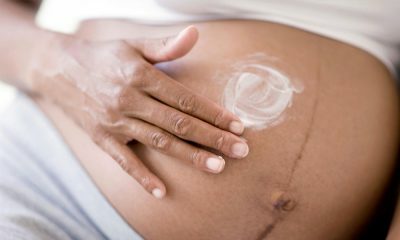 However, many of us do not realize the great benefits that a primer can give us. If you suffer from oily skin, dry skin, large pores, acne, redness in your skin among others a primer will help give you even skin before you apply your foundation. When you are looking for the proper primer for you, you want to make sure you choose a primer that will work with your skin type. For example, if you have oily skin you want to get a primer that will mattify you while if you have dry skin you want a primer that will hydrate you. Skip a day or two of makeup your skin will thank you later. If you wear makeup everyday you may notice that your skin does not appear to be as great as it does when it has had a day or two of no makeup. The reason being that our skin needs a day to recuperate and simply live in our natural oils. Our natural oils are very beneficial for the skin as they protect us from pollution and keep our skin hydrated even when we have nothing on it. If you can wear your bare face of makeup once or twice a week to give your skin a break from all the beauty products. 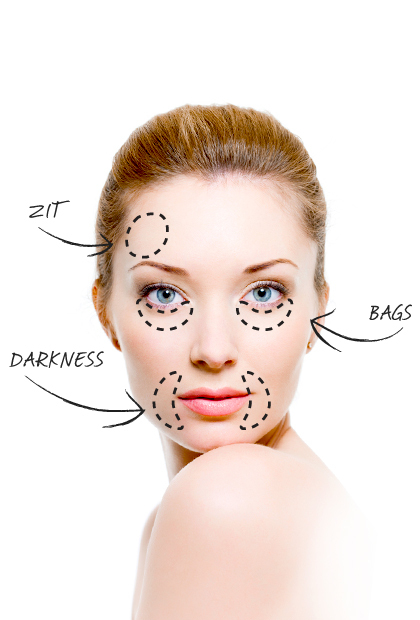 You will begin to notice your skin will appear healthier and look better from within. 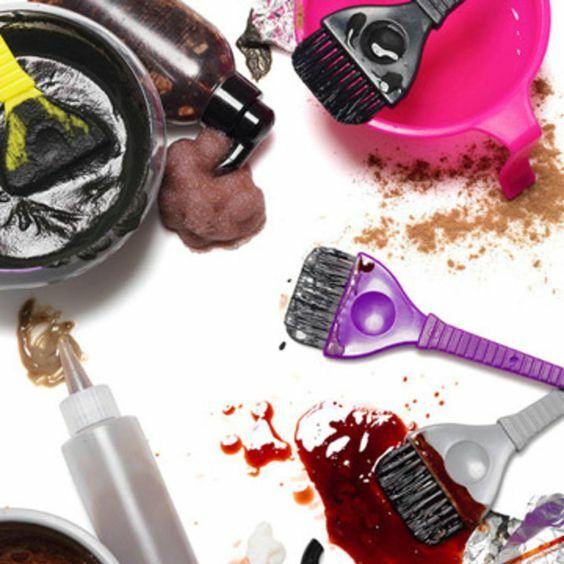 How many of us actually still have our natural hair color? The truth is I barely remember my own natural hair color because of how many colors I’ve been. However, although we may not remember the exact color we were born with we can make our current color the one we love. If you are anything like me, you change your hair color because of boredom. To fall in love with your hair color you need to dye your roots every 4-6 weeks to match your current color. The reason being gray or extended roots make you look older. Not only do heavy roots make you look older but when your roots are showing your hair looks faded. If you have a rich color such as red, brown or gold as a hair color you know once your color looks faded it is time to refresh, retouch or recolor. Schedule your hair appointment ahead of time so you never have to worry about it again. Just make sure to put an alarm on your phone to remind you so you won’t forget that one as well. This is one beauty sin we are all guilty of. Wearing too much mascara has definitely been a sin of ours for years. 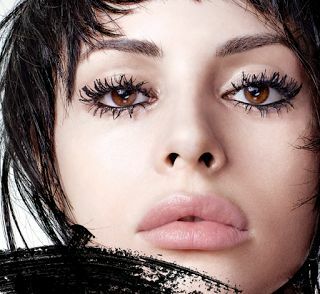 Let’s face it we all want thick, long lashes without having to use falsies so we apply multiple coats of mascara to make it happen. The problem with this is we apply too many coats and we end up with spider lashes instead. This happens when you continue to apply mascara and the coats become so demanding on your lashes that your lashes clump together. To avoid this apply 2-3 coats maximum of mascara to your lashes. 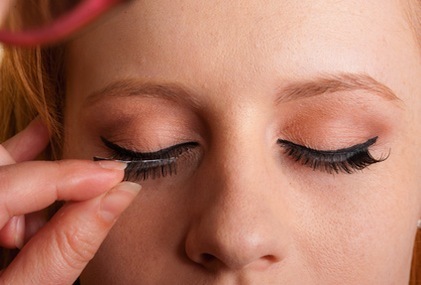 If you want more volume, you can always curl them with a lash curler before you apply mascara. This will offer you the volume and separation you want without your lashes clumping together. Over the years and trends, we have all made a few beauty mistakes that we can now look back and laugh at. However, how many of us are still make the beauty mistakes from above? Let us know below which beauty mistake you are not willing to give up.